One of the most devastating things about mesothelioma is that it typically isn’t diagnosed until years after the individual is exposed to asbestos, which means the cancer is already in its later stages upon diagnosis, and long-term survival is unlikely. Construction workers in Georgia who have been exposed to asbestos dust or fibers in the past may be entitled to financial compensation for their mesothelioma illness, past and future medical bills, and other damages. If you have been diagnosed with mesothelioma, and you believe asbestos exposure in the workplace to be the cause, contact our workers’ compensation attorneys at Rechtman & Spevak today for legal help. The CDC reports that the average age for a person diagnosed with mesothelioma cancer is 72, and workers at the highest risk for the disease include shipyard workers, U.S. Navy veterans, manufacturing workers, oil refinery workers, plumbers, electricians, power plant workers, auto mechanics and construction workers. 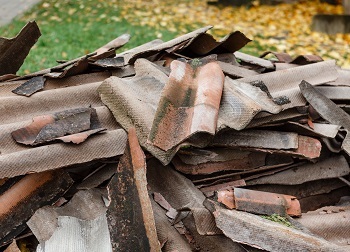 Although asbestos was banned in the United States in the early 1970s, many older buildings and building materials built or used prior to the asbestos ban may still contain the substance, which means construction workers and other people doing renovations or do-it-yourself projects may expose themselves to asbestos dust, which is the only known cause of mesothelioma. The tricky part about mesothelioma, a cancer that affects the protective lining covering many of the body’s internal organs, is that symptoms of the cancer are typically vague and can be confused with any number of other conditions, which makes diagnosis difficult. Most people who develop mesothelioma have worked in jobs in the past where they ingested or inhaled asbestos fibers, or were exposed to airborne asbestos dust. Since the early 20th century, exposure to asbestos has been recognized as an occupational health hazard, and reports suggest that even family members and other people living with workers exposed to asbestos on the job may have an increased risk of developing mesothelioma or another asbestos-related disease. If you have been exposed to asbestos dust or fibers on the job in Georgia, or if you lost a loved one to a fatal occupational disease like mesothelioma, consult our knowledgeable lawyers at Rechtman & Spevak today to explore your compensation options.